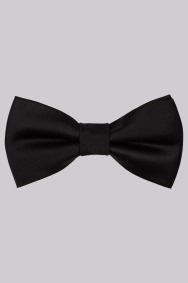 Upgrade your tux with this stylish bow tie from Moss London. Simple, but sophisticated, the classic shape raises the bar for suave appeal. Plus, it’s pre-tied too – so you can slip it out of your pocket and be match-perfect in seconds. Hipsters will twin with a check shirt and high end jeans for a quirky urban look. The rest of us can match with the right slim-fit Moss London tuxedo and dress shirt to be guest-list ready straight from the taxi. She helped me find a well fitted suit for the wedding. Love it, great for occasions and look forward to a new suit colour next week. Declan was always on hand, polite and knowledgable about the items he was sellling. Looks and fits great , also very £10 so not bad price. Very stylish though the fit was not great on me. The slim fit suit needs to be fitted better around the arms and waist more, as it does not compliment ones athletic physique. Maybe they should launch muscle fit, as Topman and RI have implemented this. Material wise, great quality, very suave and stylish looking. The quality of the clothes is good and fits well, just the service is terrible. Great suit. Fitted really well. I think the price was reasonable. Well tailored tuxedo for Prom. The bow tie was alright, didn't fit well and kept falling apart. To be honest, the clip was harder to figure out than i thought. I didn't realise it was a clip on tie until I opened it. Quality, value for money, but......... had to have help working out how the tie fitted. Some instructions on the packaging would have helped. great value for money! just what i was looking for! Amazing fit , will be visiting your store again. Great little tie without the fiddling. Fully adjustable for size - so fit well and looked fab. Fantastic fit, felt great to wear, plenty of compliments. Good , fitted well. Easily adjustable. Did the trick! Very good quality and looks fab with the tux. Free with the suit, and perfectly good to use had I not already owned one that is nicer quality. Does what it says on the tin. This bow conforms with expectations. Value for money is really good. The winter coat and suits we have bought is very good quality. Waistcoat is very nice fit and hugs your body well. A little small overall, but as it was included in the price who am I to complain. Fine. Nice quality, but a bit fiddly to clip on. Easy to wear. Very smart on and excellent price. Great value for money. The product is really nice and good quality. Very good value. Nice suit but returned after finding better offer, better fit and better style elsewhere.